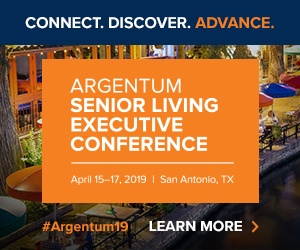 Improving employee retention can bolster a senior housing community’s bottom line by reducing expenses, but it can also help drive up occupancy, according to a new white paper from industry association Argentum and consultancy Great Place to Work. For the white paper, researchers considered a hypothetical regional senior living operator with 1,500 employees, 20 communities, $80 million in annual operating revenue and a baseline of 90% occupancy. As imagined, the company is suffering from a severe labor shortage, with 30% to 50% of its positions open at some point in a year, and 5% to 15% of its jobs unfilled for more than a month at a time. If this fictional company increased its employee retention by just 10%, it would see a 2% rise in occupancy, according to an analysis of data provided by nearly 100 senior living communities. Additionally, the company would see its risk expense fall by about 10%, according to data from related industries that was validated by senior living workers’ compensation insurance experts. All together, a 2% occupancy bump, 10% increase in employee retention and 10% reduction in risk expense would lead to an annual savings of $4.4 million for this hypothetical operator, according to the report. And such measures might be sorely needed, at least if the white paper is any indication. More than 90% of operators reported a moderate or severe shortage of qualified applicants, according to the 2018 Great Place to Work study, which included responses from more than 400 executives. Among the reported most-needed roles were direct care workers, licensed nurses and support positions. Great Place to Work is the organization that gathers and analyzes the data to generate the annual “Best Workplaces” lists in Fortune magazine. Recently, the magazine published the first-ever “Best Workplaces in Aging Services” rankings. Read the full white paper on the Argentum website.